Your cultural itinerary includes sights like National Tile Museum and Belém Tower. Cabo da Roca and Castelo de S. Jorge will appeal to history buffs. Get out of town with these interesting Lisbon side-trips: Sintra (Park and National Palace of Pena & Quinta da Regaleira). There's lots more to do: take in the spiritual surroundings of Jeronimos Monastery, take an in-depth tour of Carmo Archaeological Museum, admire the landmark architecture of Igreja de Sao Roque, and shop like a local with Museu Calouste Gulbenkian. 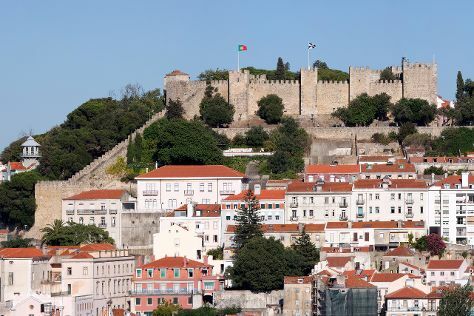 To see traveler tips, reviews, and other tourist information, go to the Lisbon route planning site . If you are flying in from Brazil, the closest major airport is Humberto Delgado Airport (Lisbon Portela Airport). In May, daily temperatures in Lisbon can reach 28°C, while at night they dip to 15°C. Cap off your sightseeing on the 10th (Fri) early enough to travel back home.